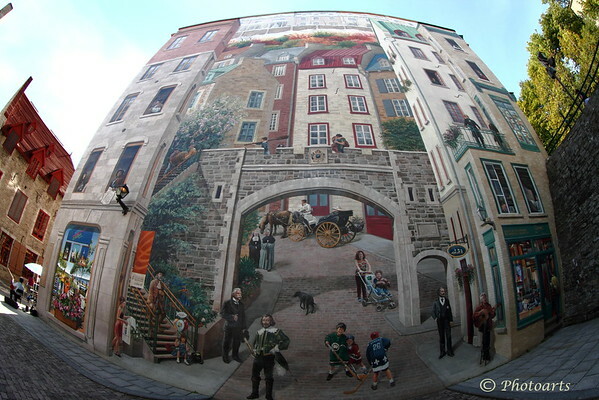 Wall mural fresco in Old Quebec City has amazing 3D feel to it. Distorted by Canon's awesome 8-15mm Fisheye lens, it gets all the details close by and invites you to walk in! Excellent image. I will be in Quebec City in about 6 weeks. I can't wait to see places like this. An amazing perspective !! Truly something else ! !